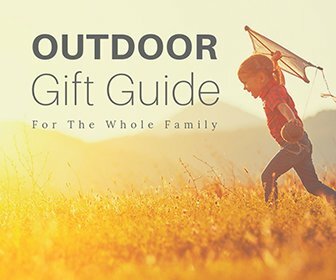 Outdoor Families Magazine is offering our most comprehensive outdoor gift guide ever. 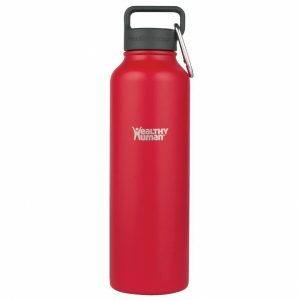 Outdoor gifts for hikers? Check! 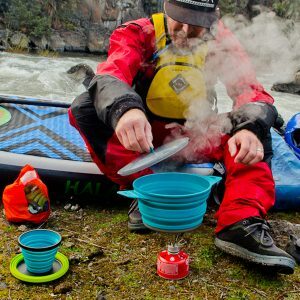 Outdoor gifts for backpackers? Check! 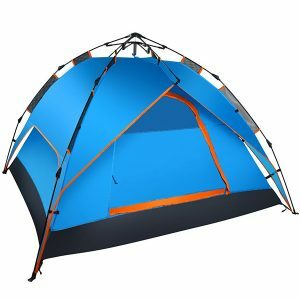 Outdoor gifts for campers? Yeah! 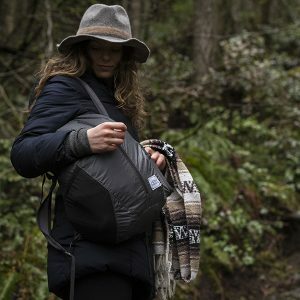 Outdoor gift ideas for boys? Yep! 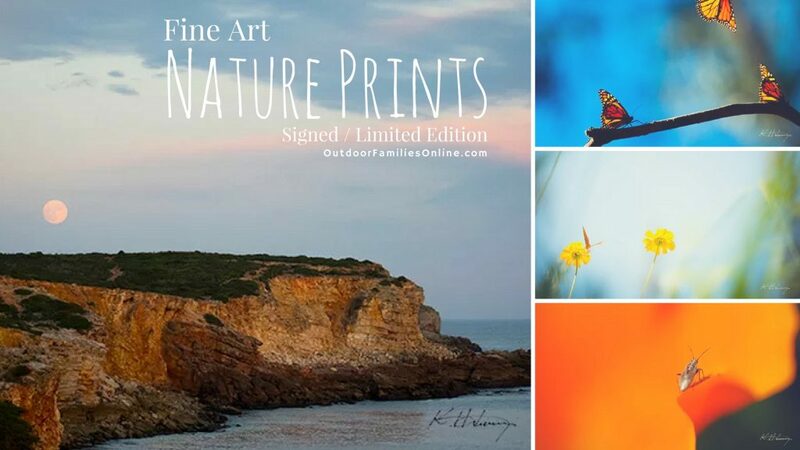 How about gifts for outdoorsy girls? You betcha! The goal? 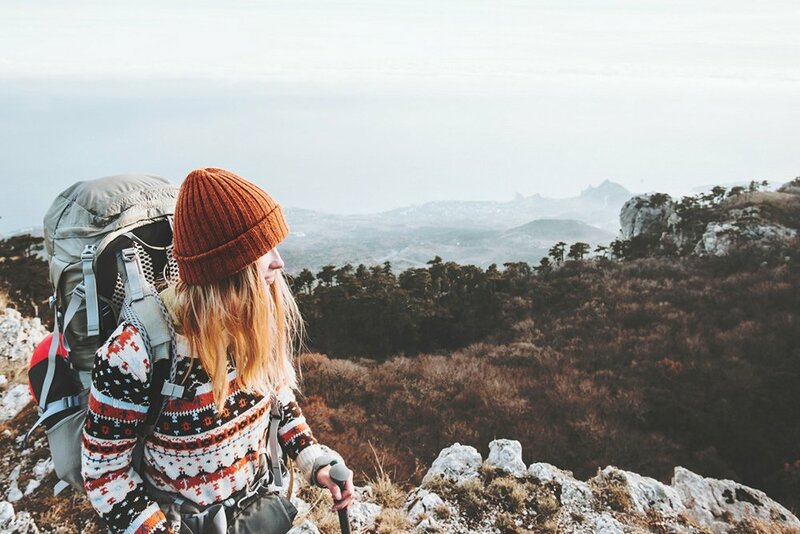 To make sure you can find the best outdoor gifts for everyone on your list, from trail runners and fort builders to backpackers and mountain bikers. It’s safe to say we could all benefit from getting outdoors. 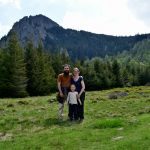 Taking a look back, we saw the magical importance of practicing Japanese forest bathing after researchers proved that a leisurely (screen-free) walk in the woods boosts vitamin N, lowers stress levels, boosts the immune system, and just makes any adventurous family feel supremely better. We don’t need science to back this up, though. In fact, a few of our friends and family fear we may pack up and go full-on “Walden” on them, at a moment’s notice. 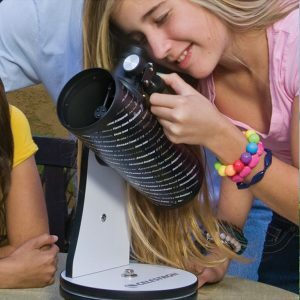 We know you’re here because you love to gather together outdoors, but before that, there is gear to be patched, outdoor adventure trips to prepare for, and STEM-learning curriculum to plan. 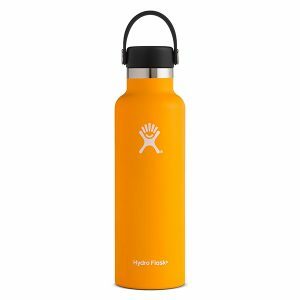 This outdoor gift guide isn’t just suited to the solo teenage thru-hiker, or the 3000-mile family trekkers. 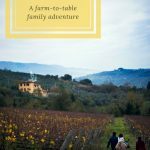 Below, you’ll find our present picks for outdoor enthusiasts we’re sure your entire outdoor family will love. 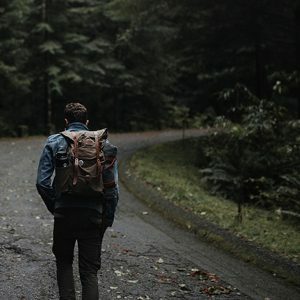 We all get outside in our own unique way, and so we have curated thoughtful outdoor gifts with a range of adventure-inclined folk in mind (yes, we’re looking at you, glampers!). We’ve got picks for car-camping families, too, like a top ten best family camping tents that go for under $100. Whatever type of nature immersion you seek, this year’s best outdoor gifts will get you trail-ready, rain or shine. 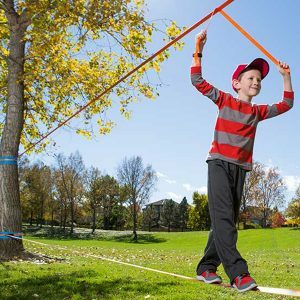 There’s an ever-growing body of research which supports the importance for kids to regularly get active, get outside, and get in touch with mother nature. 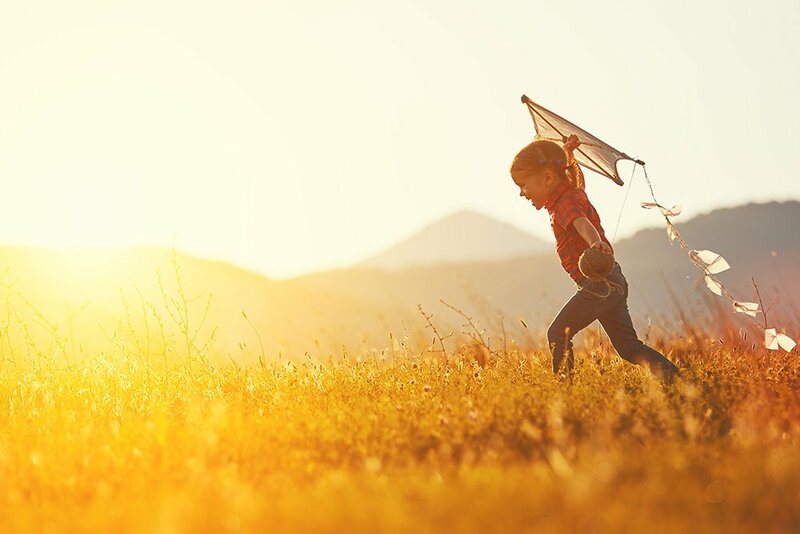 We now know that fresh air is not just good for the well being of an adventurous kid, but fundamental to their development, helps them connect to the world around them, and provides beneficial opportunities to learn about risk. 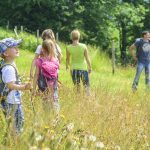 If you want to encourage someone you know to get out, get active and adventure then we’ve got some great outdoor gifts ideas that we hope may help nurture and encourage their adventurous kid spirit and develop a richer appreciation and deeper roots to nature. 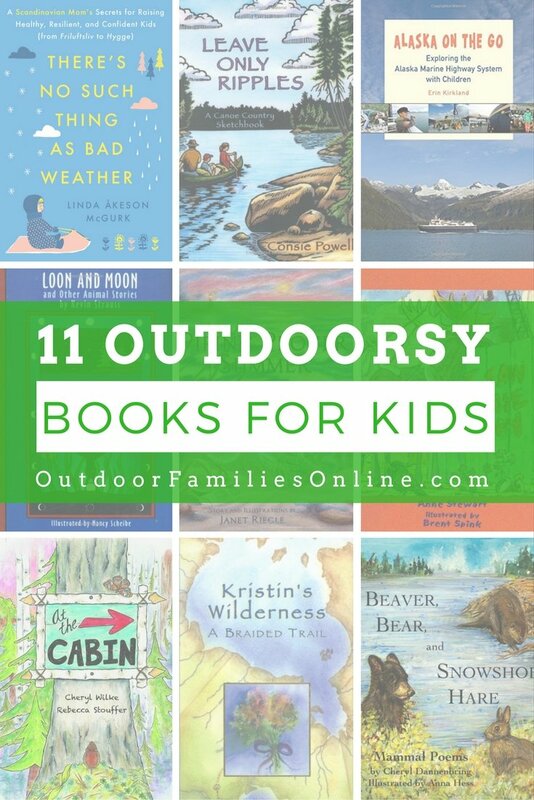 If you’re looking for inspiration for outdoor gifts for that special adventurous kid in your life, you’ve come to the right place. This wooden building set is a beautiful oversized heirloom puzzle blocks set that is absolutely stunning. It is a puzzle to solve or a large building blocks set. Waldorf Dolls are loved by young and old the world over. 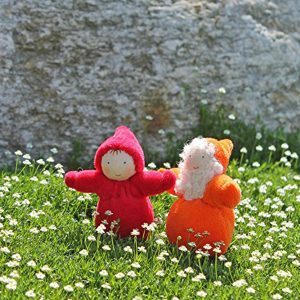 These high quality, natural fiber dolls are lovingly hand-made in Europe by Grimm’s Spiel & Holz in the Waldorf tradition with simple features that capture the essence and innocence of the young child. A family of 10 small Dwarf dolls in a delightful rainbow of colors, made from Oeko-Tex (organic) cotton. Inspired by real owls, this one-piece design features a hood printed with eyes and a beak. 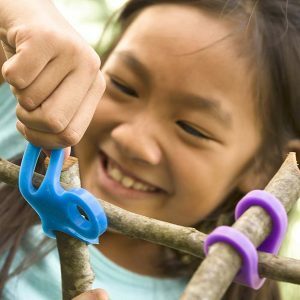 Snug finger loops help kids keep wings outstretched and ready for flight! 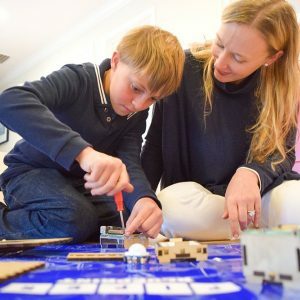 This kit teaches kids critical understanding of how technology works in order to make sense of our environment and invent the future. The Piper Computer Kit comes with everything you need to assemble your own computer. 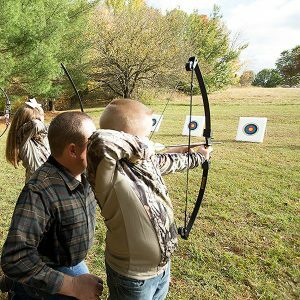 Designed for young archers ages 8 through 12 who are taking steps to progress their skills. Constructed to meet both ATA and AMO standards, the Tomcat 2 meets the mark in accuracy and precision, while still maintaining a manageable 17- to 22-pound draw weight. During a humanitarian emergency and its aftermath, education can help save a young boy’s life. A safe learning environment in places like Congo and Syria can provide children with a sense of normalcy, helps them to heal from trauma and protect them from abuse and exploitation. Being in a classroom gives conflict-affected children hope as they continue to learn and plan for a brighter future. In 2015, the IRC helped to educate more than 1.3 million children around the world. $58 can supply the tuition, books and other supplies a boy needs to attend school for a year. 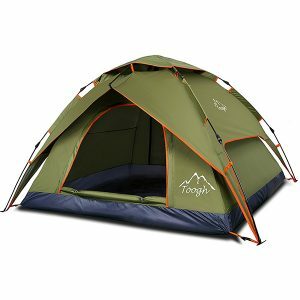 Buying a family camping tent can be a serious investment and prices range from very low to very high. Then you have to consider the variety of materials, ease of setting up, and how many people need to fit inside. That is a lot of information to sift through which makes the whole process daunting. Key factors of utmost importance are material (since you want something that will outlast a rain storm or high winds), waterproof flooring, and good ventilation. 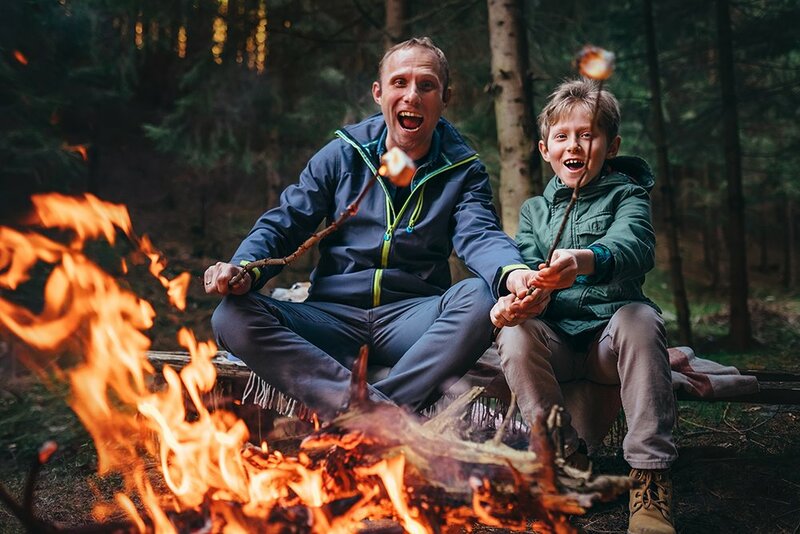 Camping has always been a popular pastime for families so it is important to make the outing as pleasurable as possible. 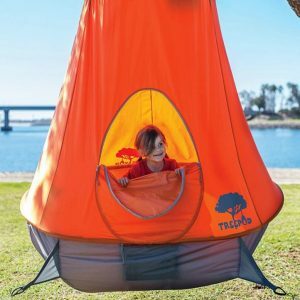 Nobody wants to have to leave the campsite early because the tent fell apart and you certainly don’t want to end up covered in mosquitoes every night as you sleep. Checking for tents with insect mesh is a must given the diseases those little guys like to carry. 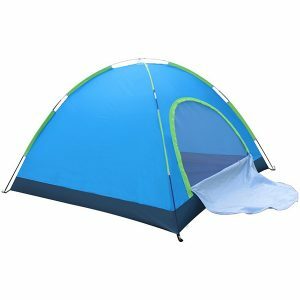 You can get tents for all numbers of people and surprisingly, the larger ones are not always the most expensive. 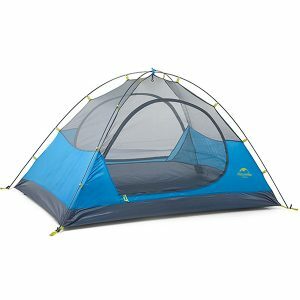 You can find very reasonably priced tents for a family of 4, without losing quality and durability, so don’t leave it off of our outdoor gifts shopping list. 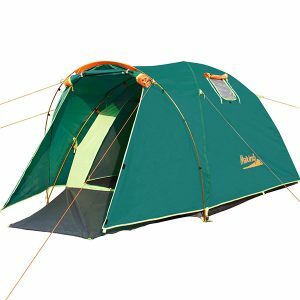 We have compiled a list of the top 10 family camping tents on the market that are under $100 because we know you don’t have to be a millionaire to get outside and enjoy the great outdoors. 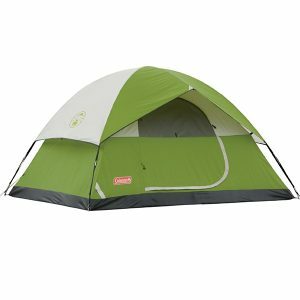 Our outdoor gifts list includes tents that are lightweight, easy to carry and stow away, can accommodate numbers from 2 to 4, and provide the best weatherproofing. 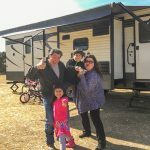 We want your camping experience to be enjoyable for the whole family, so this list is a great place to start. 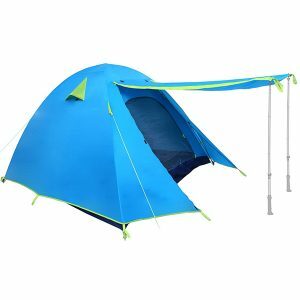 Tent is easy to set up and fold up. 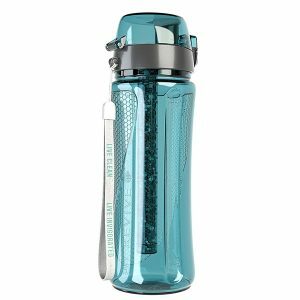 Ideal for Camping, Hiking, Traveling! 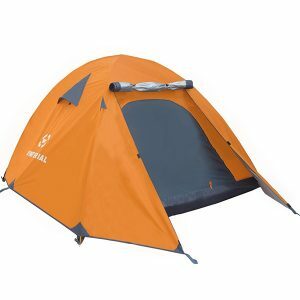 The best family tent is high quality and durable with sturdy 190T PU fabric rain fly and waterproof 210D Oxford fabric floor with fully taped seams. 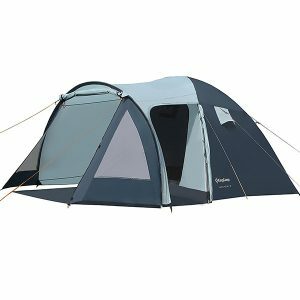 Durable sturdy 210T PU fabric rain fly (PU4000mm) and waterproof 150D Oxford fabric floor(PU5000mm) with fully taped seams. 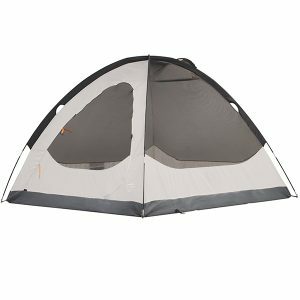 Massive front vestibule with two doors which provides a dry entry into the tent and an ample gear storage space. Two aligned windows designed for a breeze and a view. Features inner pockets to keep your personal items organized and allow for easy access. The top hanging hook is designed for hanging camping lights. Perfect for 2, 3 or 4 people and a pet or two. 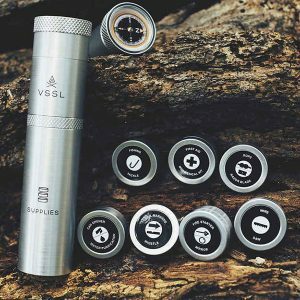 If your dad is an outdoorsman, buying him outdoor gifts doesn’t have to be a daunting test of how to find the one thing he doesn’t have and will actually want. 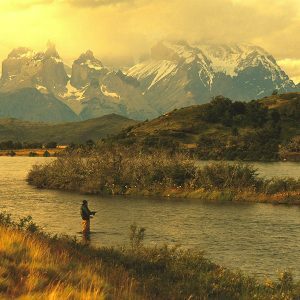 We know that a love of the outdoors has quite a spectrum. 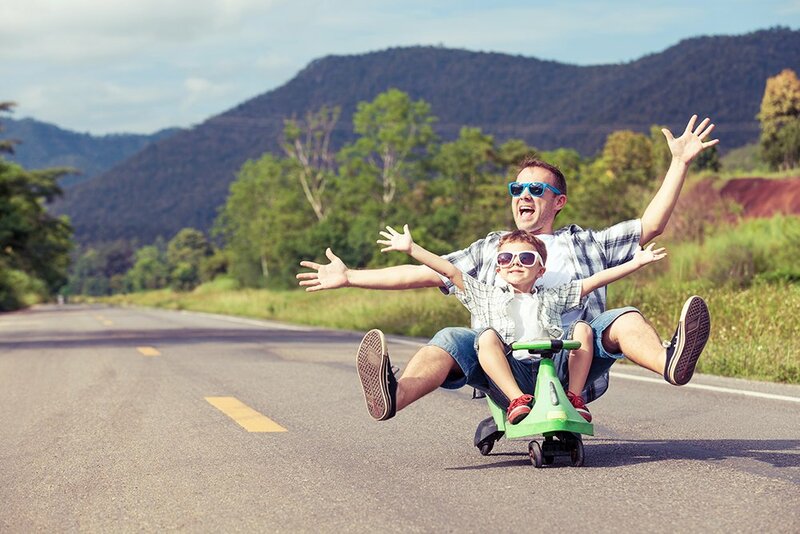 From hunting trips out to the mountains to simply finding an excuse to spend an entire Saturday out in the yard grilling, we understand that the adventurous dad is agile and spontaneous. 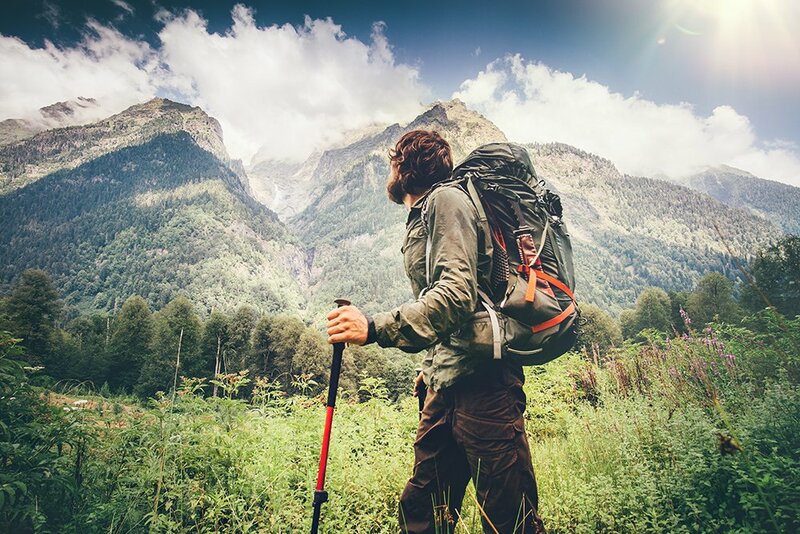 Even if you think the man has enough hiking boots to outfit him for a lifetime, we’ve get a few unexpected outdoor gifts here as well. Whatever you choose, here are 10 great outdoor gifts to get you thinking for the dad who loves his time outside. Designed for riders who are looking to push their limits, or just want to try out something new, this bike offers efficient pedaling with extra grip from fatter tires. The Day Pack is a roll top waxed canvas rucksack thoughtfully designed for both the urban and rural adventurer. The straps are all leather & padded with a layer of wool for comfort. Affordable with no compromise in quality. Light weight and great for day trips. 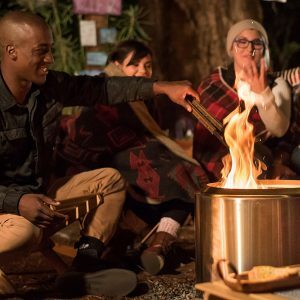 Solo Stove Bonfire, the world’s most unique fire pit, pushes the limits of both combustion airflow efficiency and minimalist outdoor design with its all stainless steel construction. For the adventurous dad who likes to keep his gear organized! 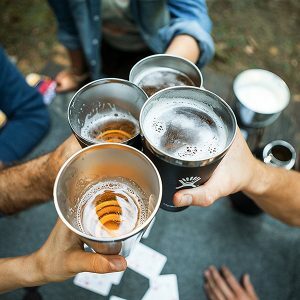 The Hydro Flask 16 oz True Pint keeps your favorite libations frosty cold from the first sip to the last drop. 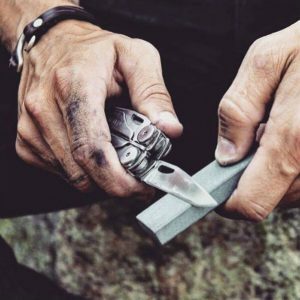 The Wave is hands down our most popular multi-tool. With larger knives, longer wire cutters, and all-locking blades, the redesigned Wave is perfect for any job, adventure, or everyday task your adventurous dad may have to tackle. 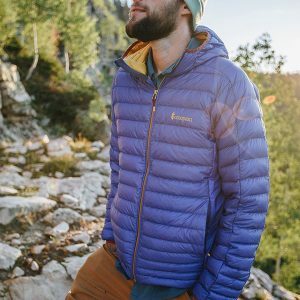 The lighter, season-jumping down jacket that is exceptionally lightweight, breathable, and provide the right amount of insulation from fall through early summer. Designed with one key objective in mind—accuracy for the adventurous dad. The blank is constructed to make loading easy, so that the rod generates line speed super quickly, requiring fewer false casts. Every kid needs a bike; as outdoor gifts go, we would say they are an essential part of independence that children crave. 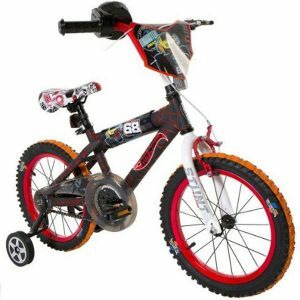 Kid’s bikes come in all shapes and sizes as well as ideal for all kinds of budgets. 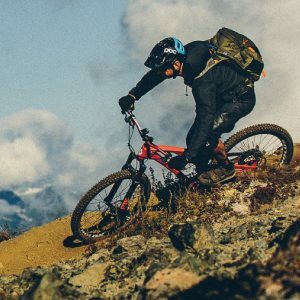 There are several things you need to consider when buying a bike such as size, weight, shape, brakes and of course price. You need to get a bike that fits your child so they can easily control and ride it. Additionally there are safety features you need to insist upon for your own sanity as a parent. The right brakes help a child learn to control and some naturally prefer the coaster brakes at the back whereas others prefer handlebar brakes. 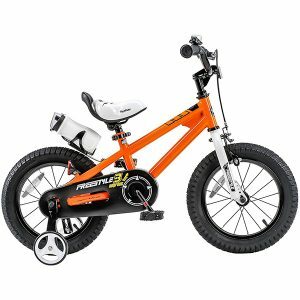 Ideally for a beginner you want both because as they get older some bikes only come with one option so it is best for them to be proficient with either one. Size does matter when it comes to wheels on your kid’s bike. Wider wheels help them learn balance and of course, you want training wheels for those just getting started. By the time you consider all these factors, you are usually looking at a pretty hefty price tag. Generally, the bigger your kid gets, the higher the prices go. That does not always have to be the case. 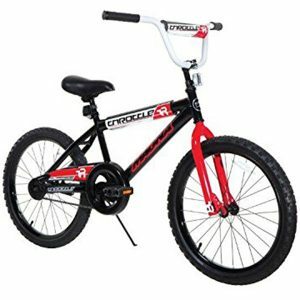 Your kid can have the perfect bike and that little bit of freedom at a price that keeps your wallet from breaking into tears. 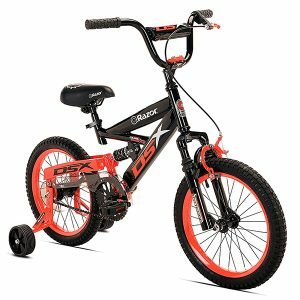 Below is a list of the top 10 kid’s bikes for under $100 that are sure to make your child and your wallet smile, while checking things off your outdoor gifts shopping list. 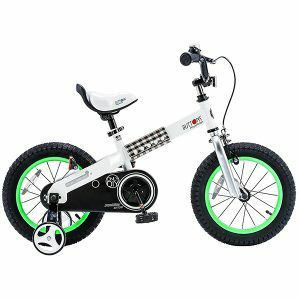 The ideal bike for teaching your little one to ride. Comes with an oversized front wheel flange and an enclosed chain cover for protection. Seat has a quick release pin for easy adjustment and as sturdy bolt system for security. 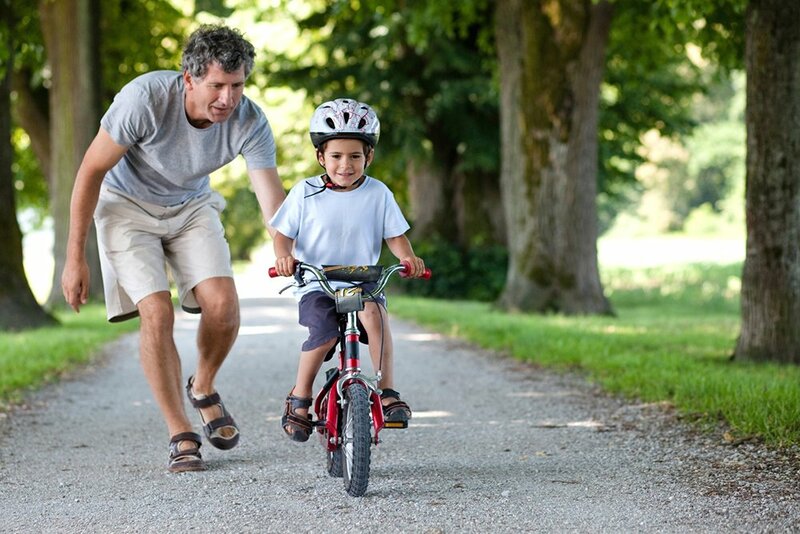 The bike has both hand brakes and pedal brakes so your child can use whatever comes naturally to them. Comes in a sleek black color with red decals to get everyone’s attention. Coaster brake makes it easy to glide to a stop and reflectors are on both the spokes and the handlebars. Easily adjustable seat for when those growth spurts hit. Sturdy and reliable as well as speedy. Comes almost entirely assembled, all you have to do is add the seat and handlebar. 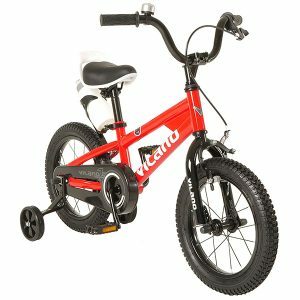 Has removable training wheels and is recommended for bike beginners aged 2 through 5. Wide tires to allow for easy balance and coaster brakes for easy and gentle stops. Comes with a portable tire pump. Pearlized coral color with butterfly decals with a steel diamond frame. Comfortable padded seat for a smooth ride and chain guards for safety. The perfect bike for those who just mastered riding and are ready for their first ‘big’ bike. Durable 20 inch wheels to outlast any terrain. The brand they love when it comes to playing cars will make them love this bike too. Deluxe frame and finish with deluxe tires with a two-brake system and a handlebar shield. 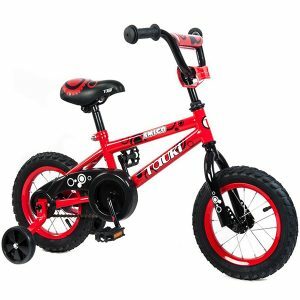 Perfect for beginners aged 4 through 7 with durable training wheels. 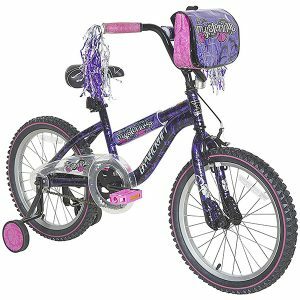 Rugged BMX style with vibrant floral decals. Removable handlebar bag and sparkling streamers. Custom two-piece padded seat for added comfort and removable and adjustable training wheels. Rear coaster and front handlebar brakes for added stopping power and comfort grips. Comes with manufacturers lifetime warranty on the frame and fork. Unisex design available in assorted colors with a unique square tube frame. Wide tires for riding stability and to help gain balance. Hand brake and coaster pads for extra stopping power making it ideal for learning. Soft grip handles and non-slip pedals make it easy to maneuver and foam padded seat keeps your kids comfortable. Heavy duty training wheels. 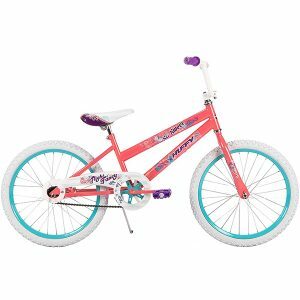 Designed for girls ages 2 through 4, this bike is perfect for learning. Strong steel frame to withstand bumps and falls and coaster rakes for effortless stopping. Removable training wheels to help with balance. Assembly is required, but tools and easy to follow manual are included. 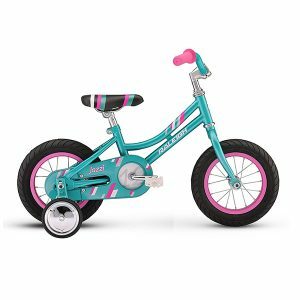 Freestyle bike for both boys and girls with durable Hi-Ten steel construction. Adjustable handlebar and seat to get the best fit and position as they grow. Comes with training wheels, a bell and water bottle. Easily assembled; all you have to do is attach the seat, front wheel and handlebar. Coaster brake for easy learning and front hand brakes for additional safety and to teach them. 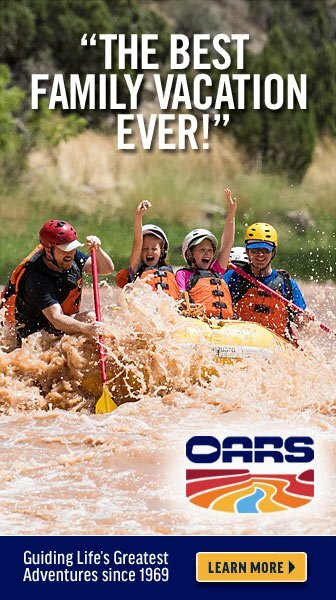 It can be tricky to find the perfect gift for an adventurous mom. We get it. You want to buy something she’ll be able to use and abuse, something that will up her adventure game, make staying out late into the night more comfortable, memories more recordable, and overall experiences more enjoyable. 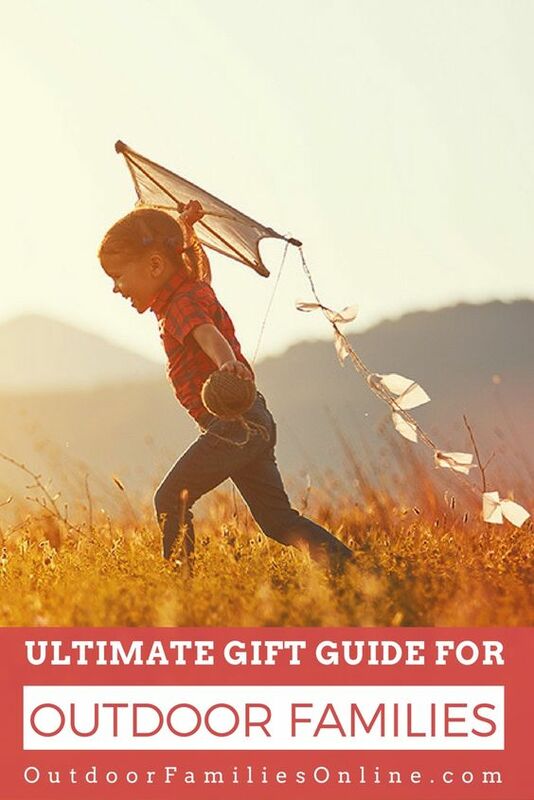 That’s why this year, Outdoor Families Magazine is offering an A-game outdoor gifts list for the adventurous mom in your life. The goal? Make sure you can find the perfect present for her. This year. 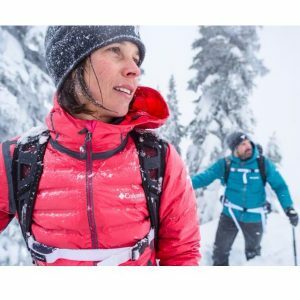 Here are the outdoor gifts that the trail-running, kayaking, rock-climbing, and Mother Nature–obsessed adventurous mom in your life really wants this year. 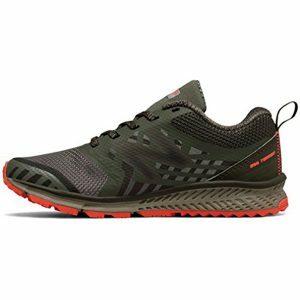 This trail runner with FLEXconnect™ cushions, flexes and protects for agility to excel on long runs and rugged terrain. 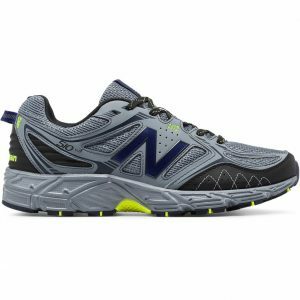 Features include fabric, mesh, and TPU upper, reflective details for increased visibility in low light, and Hyperlock™ molded TPU heel counter for security during quick decents and sharp turns. 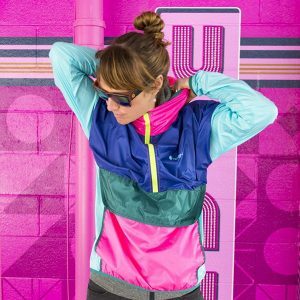 The Teca is a highly packable, weather-resistant layer that’s ideal for windy ridge hikes, breezy bike rides, and minimalist travels. Its form-fitting scuba hood and front zip help you batten down the hatches when the winds kick up. And, well Cotopaxi is a do-gooder! 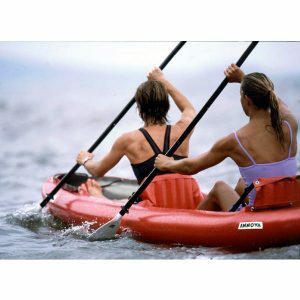 The Twist is the lightest, greenest, general recreation, inflatable kayak on the market. At only 16 pounds, the Twist comes in a nylon bag no larger than a sleeping bag stuff sack – easily back-packable. The Twist is also made free of PVC. Matador FreeRain24 Waterproof Packable Backpack uses the finest materials to offer superior performance in the smallest possible package. 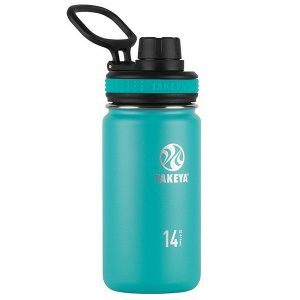 Ideal for travelers it packs away to fit in the palm of your hand and unpacks into a 24 Liter backpack with a waterproof main compartment. Y&Y Classic is the first model of the Y&Y range and it’s our bestseller. Its good quality has been proven by thousands of climbers. Thanks to the flexible glasses bows and frame, it can adjust to any face shapes. 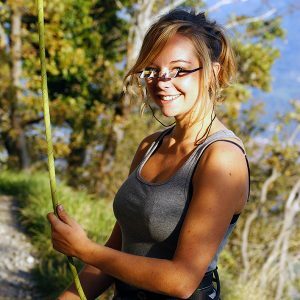 It allows you to belay your partner with comfort and safety. 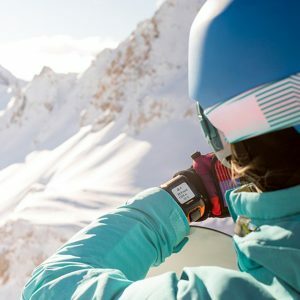 TomTom Adventurer GPS watch give you real-time information with GPS, or upload routes to your watch and follow them while you explore new adventures. An integrated music player, bluetooth, and built-in heart rate monitor make this watch exceptional. The CCS StrapShot EV-1 for one camera is the perfect camera carrying system for hikers, travelers, skiers, climbers, bikers and more. 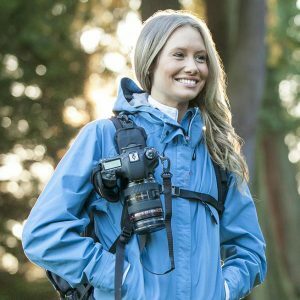 This compact camera carrying system fastens to the strap of a back pack, sling style bag or even your belt, keeping your hands free, your equipment safe and your body mobile. Ready to shoot. Right now! 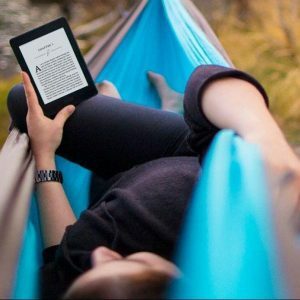 Kindle Paperwhite E-Book has an improved high-resolution display with a single charge can last up to six weeks. Paperwhite also now offers Bookerly, a warm font crafted from the ground up for reading on digital screens. Also, sign her up for Amazon Kindle Unlimited (try the 30-Day Free Trial), and check out Audible to get two free audiobooks ! Groove Life is the world’s first breathable active ring that is not only super comfortable but functional. Born from need, GROOVE raises the bar on traditional silicone activewear rings with its flexible material, patent pending inner breathable design, and beautiful colors. OutDry™ Extreme is our first ever waterproof and breathable fabric technology constructed with a waterproof layer on the outside and soft, wicking fabric inside. The fully seam-sealed Titanium OutDry Ex with bold, external seam taping is perfect for just about anywhere it’s cold and wet. 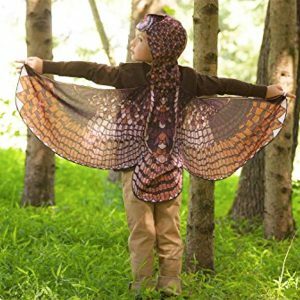 Encouraging kids to begin looking more closely at their outdoor surroundings, to observe those small, yet monumental changes in the natural world, reinforces their love and curiosity of nature. 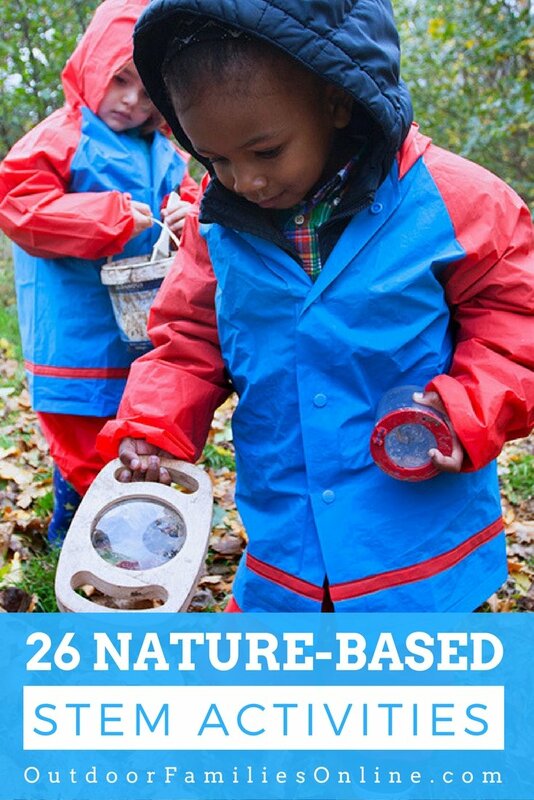 And nature books are awesome outdoor gifts that can extend a child’s freedom to learn and love, away from the confines of their school’s four walls. 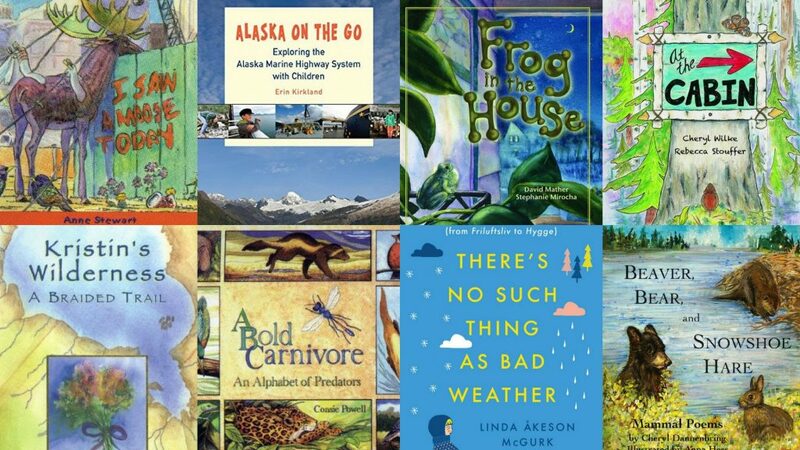 This list of nature books for kids (and adults) was carefully curated by our editorial team to inspire the next generation of naturalists to get out the front door and start exploring the world outside. 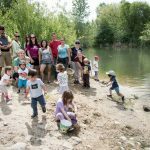 It also serves as the foundation for families to discuss the adventurous ambitions of stewardship and preservation of mother nature. Lifelike illustrations show the predators in their natural settings, and colorful border drawings depict the prey species. 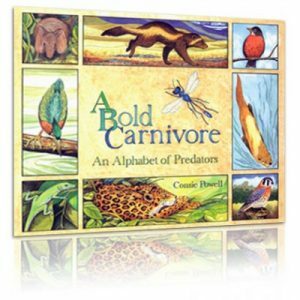 At the top of the list of nature books for kids, this brief text tells about the methods each predator uses to catch its prey. A glossary in the back lists the names of each prey species pictured. 32 pages. Ages 3 and up. 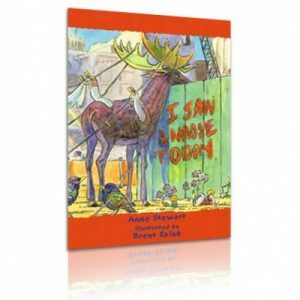 From the shrew who dines at the Swamp Café to the mighty Kodiak bear who inspires awe and eats wherever he chooses, the mammals in this book delight, amuse, educate, and entertain readers of all ages. Poems are sometimes serious, sometimes fantastical, but always fun to read, especially aloud. 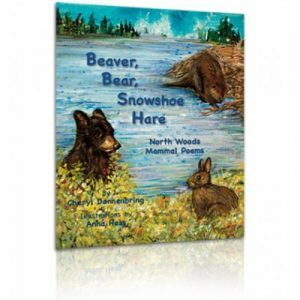 Each mammal is also described with an interesting detail not widely known, making this book a must-have on your nature books for kids bookshelf, it’s fun and informative for both children and the adults who read to them. 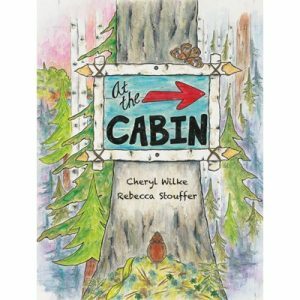 Sure to be a top pick at bedtime or anytime, this book will be a cheerful addition to any north woods cabin collection. What child hasn’t longed to bring a wild creature into the family home and keep it as a pet? This book helps children understand why that’s not a good idea. 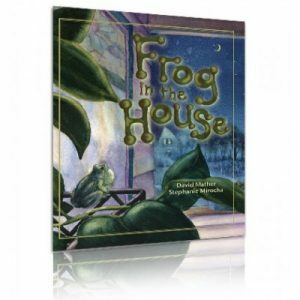 The story begins with a wild treefrog living happily in the plants on a family’s porch. Told from the frog’s perspective, the narrative portrays his discomfort when he is mistakenly brought inside in the fall. 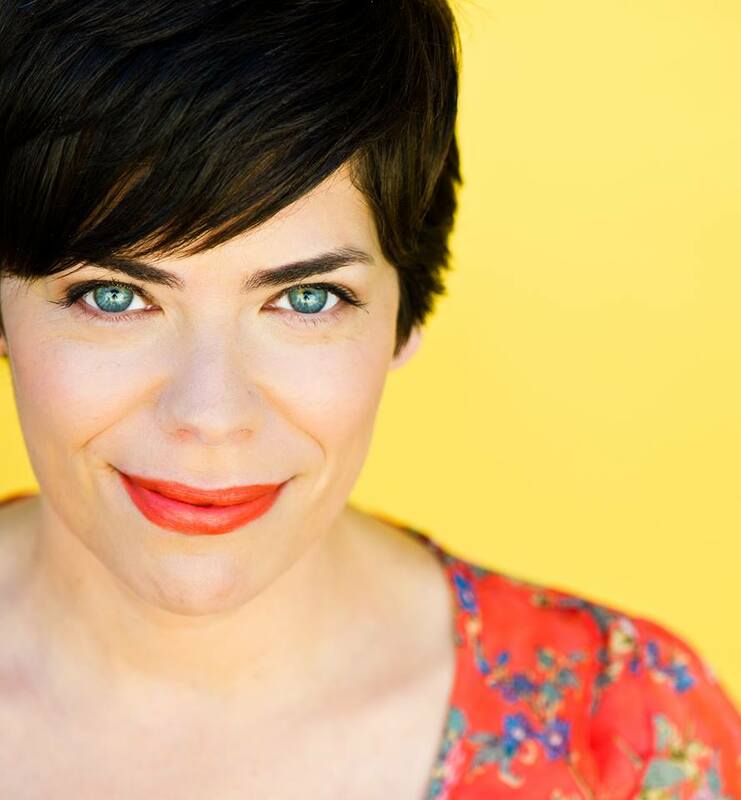 In the happy ending, the family returns the frog to the outdoors where he can hibernate, and the child in the family looks forward to listening for the frog’s song in the spring. Rich watercolor illustrations contrast the frog’s natural habitat with his indoor plight. A full page of nature facts at the end of the book explains the life cycle of amphibians and contains little-known facts about treefrogs. Everything a child loves in a book is here — spunky animals, a child to identify with, the rhythm and rhyme of poems, and pictures in which there is something new to discover with each reading. There are fun big words, like “cacophonous” and “hibernate”, with a glossary in the back for advanced readers or parents and teachers. 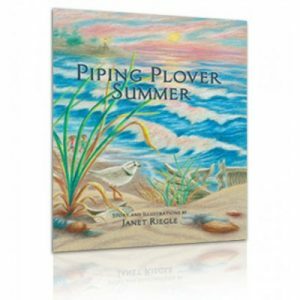 What sets this title apart from other nature books for kids is its information page on each animal which gives facts even adults may not know, and raises questions that will create a “let’s find out” attitude in readers of all ages. 128 pages. Ages 10 and up. 32 pages. Ages 5-12 and Adult. 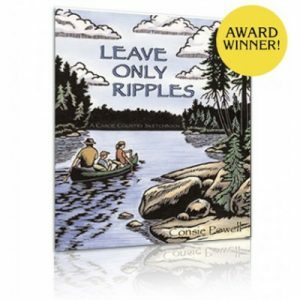 A family canoe trip into the Border Country lakes of northern Minnesota and western Ontario is vividly depicted with woodblocks, sketches, and prose. Each page presents a new aspect of the Canoe Country’s human and natural history, blended with a typical summer day of paddling, portaging and camping. 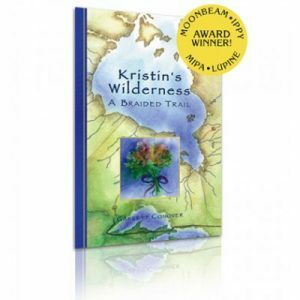 Although the trip takes the reader into the wilderness of northern Minnesota, the camp activities, wildlife and scenery could be part of a wilderness trip in Maine, the Adirondacks, Algonquin Park, or many other places up north. 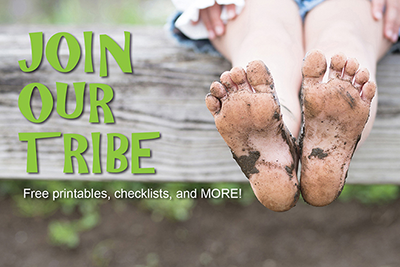 A top-shelf nature book for kids and adults that teaches the guiding principles of the Leave No Trace pledge. These tales with tails are outstanding read-aloud stories for families, teachers, librarians, babysitters, camp counselors, and of course, children. 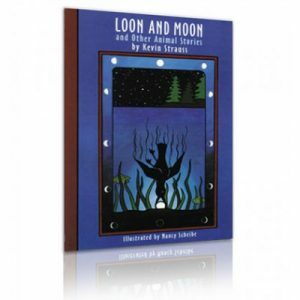 Some stories are original, some are based on traditional tales from other cultures, and some are new twists on familiar stories, but all are laced with humor and northwoods lore. 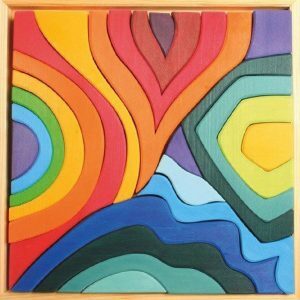 The bold-colored illustrations hold the attention of even the youngest child. A brief nature lesson is included at the end of each tale. Great read-aloud material. Winter is near, but as Old Woman Winter and her husband look out of their cabin in the clouds, the land is gloomy and gray. Time to whip up a recipe of gorgeous snowflakes and send a hearty serving of hoar frost to brighten up the landscape! After a day of sifting and stirring and chilling and shaping, Ms. Winter pours her batch of snowflakes onto the earth, then sweeps the clouds away so the moonlight reveals the magic of the first snow. Soon the children are reveling in their favorite winter fun. 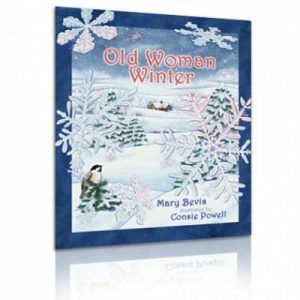 Delightful illustrations inspire a happy anticipation of winter weather, and the jolly old woman warms readers’ hearts. Clever recipe cards tell how different kinds of frozen precipitation are really made, and a list of winter outdoor activities will make children eager to get outside. A pair of piping plovers returns to their nesting area to find new threats to their safety and a danger-filled environment to raise their chicks. The pair finds a better place, but is frightened by biologists who build an enclosure around their nest to keep out predators. Gradually they adjust to this strange, new structure and successfully raise four youngsters. Someone is walking through the north woods in winter. Readers can see the tracks in each detailed depiction of winter habitat, but they don’t discover the wolf joining her mate until the last pages. 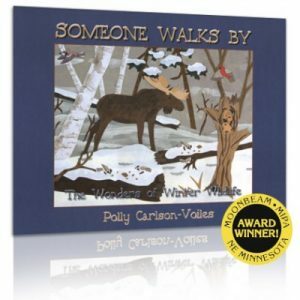 On the way, they see frozen wood frogs, a bear in her den with her newborn cubs, sleepy chipmunks, fish and otters swimming under the ice, owl hunting and hare hiding, and many other creatures surviving and even thriving in the cold, snowy winter environment. The artwork in this book is created from intricately cut and torn colored paper with watercolor and ink detailing. It has been so carefully reproduced that the reader will feel like they are holding the original art in their hands. Children will enjoy finding the many animals on each page. 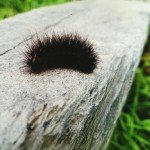 A glossary defines different types of snow and other winter terminology. 32 pages. Ages 4 and up. A staple of coastal transportation since the 1950’s, the Alaska Marine Highway System is more than a tourist attraction; it’s a vital link to cities often inaccessible by road or air, and thus, a destination unto itself. Alaska On the Go: Exploring the Alaska Marine Highway System with children digs deep into Alaska’s small coastal towns and villages that make up the Marine Highway’s 3,000-mile route, and visits the larger centers of commerce and government within the panhandle section of Southeast. 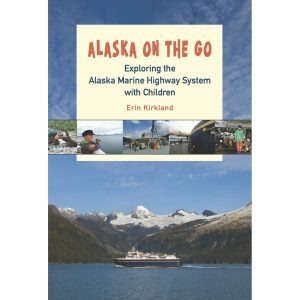 Erin Kirkland’s second book in the Alaska On the Go series, Alaska On the Go: Exploring the Alaska Marine Highway System with children is a practical, portable guide for independent exploring families wanting to experience the Alaska most visitors want but few actually discover. 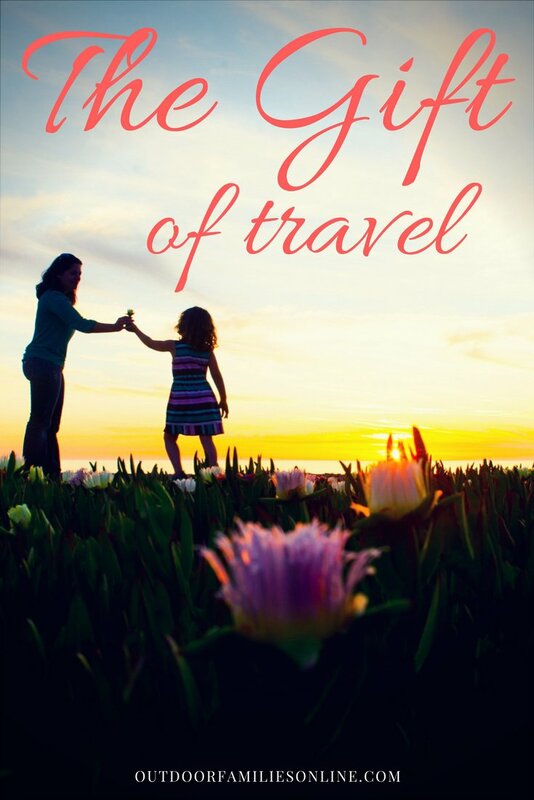 Find over 300 pages filled with insightful travel tips, community highlights, photos, fun parent and kid quotes, and maps. When Swedish-born Linda McGurk moved to small-town Indiana with her American husband to start a family, she quickly realized that her outdoorsy ways were not the norm. 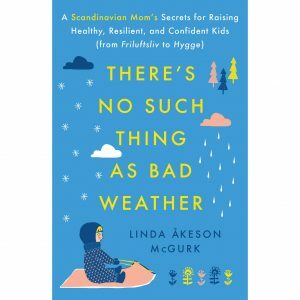 This 300+ page book is a fascinating personal narrative that highlights the importance of spending time outdoors, and illustrates how the Scandinavian culture could hold the key to raising healthier, resilient, and confident children in America. 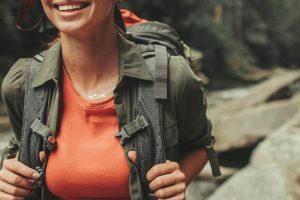 Whether you are fixing up the yard, going for a hike, breaking a sweat at the gym or going camping, the one piece of great gear you’ll need is a good portable water bottle. 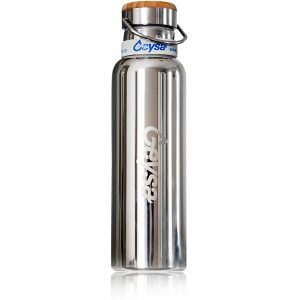 No journey is complete without the right hydration companion and the ten insulated water bottles below are guaranteed to fit the role perfectly. When you are away from home, no matter what the weather, it is essential to have a reliable source of water. Let’s face it, the last thing you want is to be stuck out in the great outdoors with your littles in the scorching heat without any water. 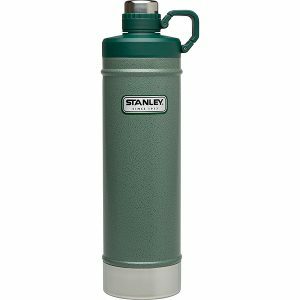 But, not all portable water bottles are the same. 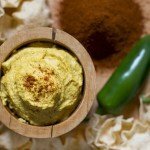 You want to make sure it is a reliable and sturdy container that is safe and doesn’t break the bank. Along with durability and quality, it better also keep your drink cool or hot, otherwise, what’s the point?! When the sun is beating down on you, you need the refreshment of a cool beverage. 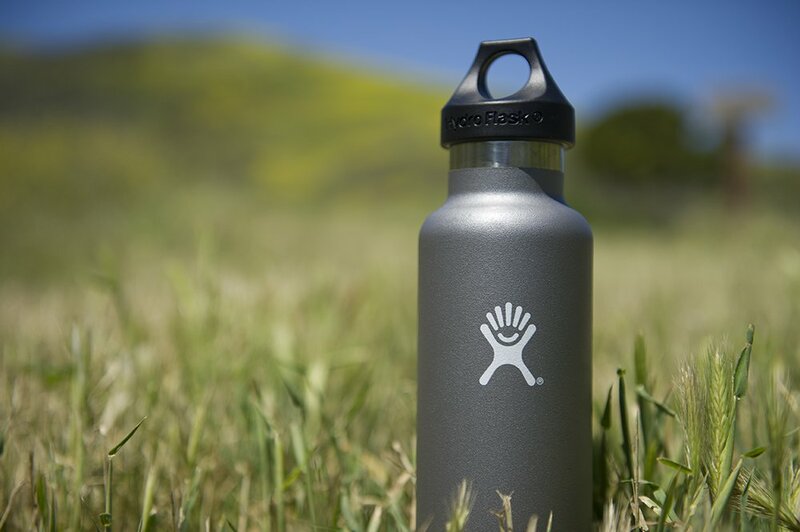 There is nothing worse than lukewarm water on a hot hike. 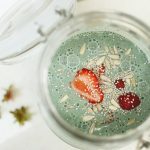 Additionally, on those chilly mornings and days, the warmer your kid’s hot cocoa is the more assurance you have that there will be no meltdown. That is the value of an insulated bottle. 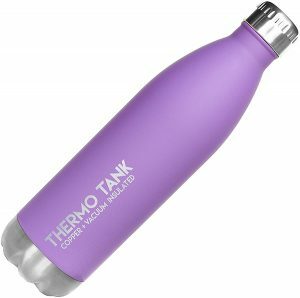 It can keep drinks both cold and hot depending on your need. 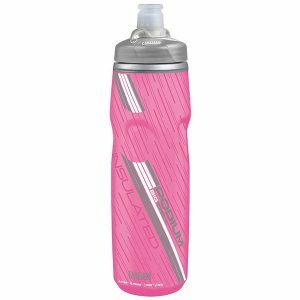 W have put together the top rated portable water bottles for you and your family to use on any of your adventures. The ones included cover a variety of price ranges, all under $40, to fit any budget. 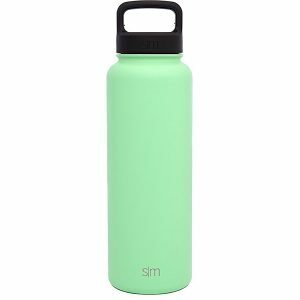 There is a lot to consider when getting a water bottle. 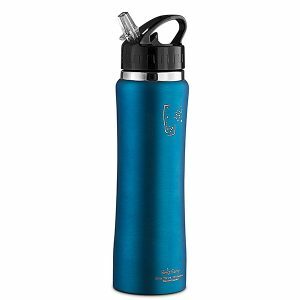 That’s why we put together this outdoor gifts shopping list that includes the top ten rated portable water bottles for you and your family to use on all of your adventures, whether they are in the back yard or your travels around the world. It is important when you explore the outdoors to be safe. This means more than just being aware of your surroundings. You also want to make sure you have the right trail running shoes on your feet because the last thing you want to do is trip or fall in the middle of nowhere. 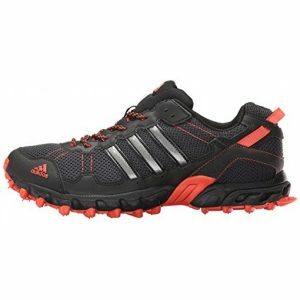 The wrong trail running shoes can cause serious discomfort and serious injury. 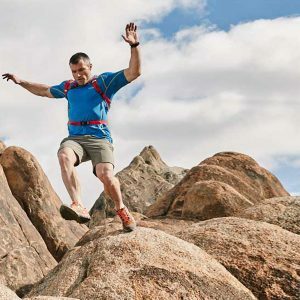 Running through rugged terrain can be hazardous to your feet because of the uncertainty of where you might step. If the shoes you have on are not adequately supportive or of good quality, you can get injured or the shoes can even fall apart. 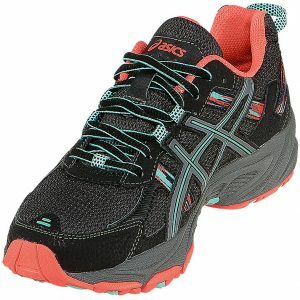 Even if you are running through the street along smooth pavement, you still need to support your feet. Without proper support you place strain on your muscles and bones. Even if you do not feel the pain right away, you could potentially be damaging yourself with each step. Material is important for trail running shoes because it needs to allow your foot to breathe and at the same time remain sturdy. You want a sole that absorbs shock well to protect your joints. 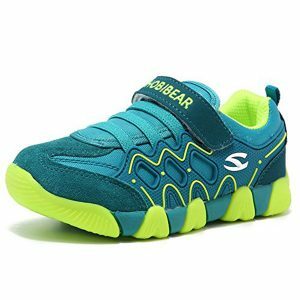 Additionally with trail running shoes, the lighter, the better, but you have to be careful not to sacrifice quality for thin materials. 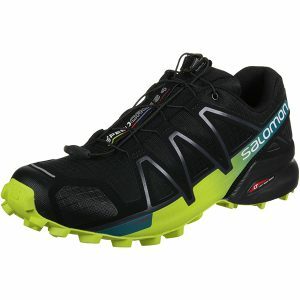 Are trail runners on your outdoor gifts list? 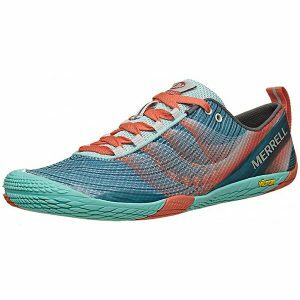 We have compiled a list for you of the top 10 trail running shoes that are perfect for the whole family. 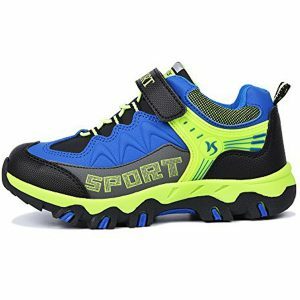 Trail running shoes can be expensive, especially if you want the name brands. Luckily, there are several great and reputable brands out there that are not going to empty your bank account. 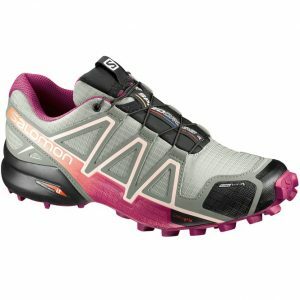 Quality can come at the right price and you can get good trail running shoes for the whole family. 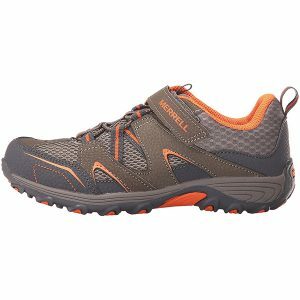 Whether you are hiking or running through the hills, these shoes are the best in durability, quality, safety and price.